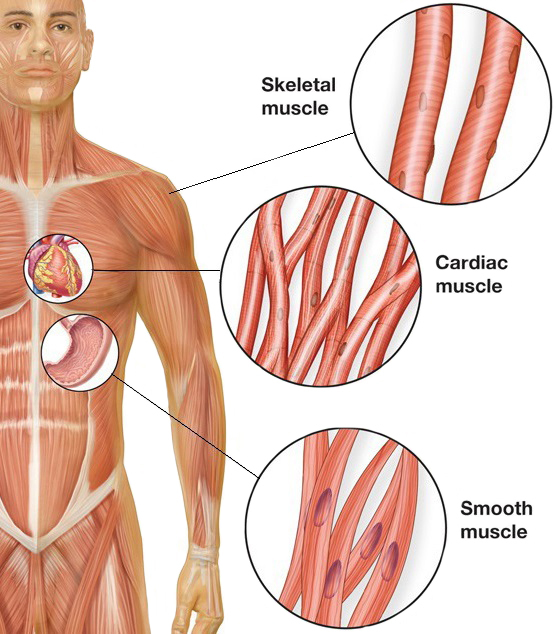 Smooth muscle cells (SMCs) are contractile cells found in various organs including the prostate, bladder, and uterus. In particular, SMCs that are located in the blood vessels of the cardiovascular system are known as vascular SMCs. Vascular SMCs, located in vessel walls, play numerous roles, including maintaining vessel diameter, which regulates blood pressure and flow. Under normal homeostatic conditions, vascular SMCs display a contractile phenotype, whereby they contract as needed to adjust vessel diameter. However, SMCs can undergo a process known as “phenotypic switching”, during which they adopt a proliferative and migratory phenotype, often in response to injury. However, this same process is implicated in cardiovascular dysfunction, particularly in diseases like atherosclerosis. Atherosclerosis occurs when so-called “plaques” build up in blood vessels, restricting blood flow and increasing blood pressure. When these plaques break off, they may cause a cardiovascular event like a heart attack or stroke. These plaques attract immune cells, such as macrophages, as well as proliferative vascular SMCs, which can contribute to disease pathogenesis. Vascular SMCs are essential mediators of vascular remodeling after injury. Multiple studies have demonstrated a role for canonical Wnt/ß-catenin signaling in vascular remodeling (structural changes in blood vessels). To further define this role, Riacos-Bernal and colleagues tested the requirement for ß-catenin in this process using an in vivo model of SMC-specific ß-catenin loss. Using immunofluorescence and western blotting, they first illustrated that ß-catenin is not expressed in the media layer of quiescent arteries in wild-type mice. However, they found that ß-catenin expression is upregulated in the neointima (scar tissue formed in response to vessel injury) in response to carotid artery ligation-induced damage. Additionally, the researchers observed some expression of ß-catenin in SMCs from postmortem human arteries undergoing vascular remodeling. To evaluate the effects of ß-catenin loss in SMCs, the authors used an inducible Cre recombinase-loxP system to knock out ß-catenin solely in the SMCs of mice. They demonstrated that SMC ß-catenin loss had no effects on artery homeostasis in adult mice, but did reduce neointima formation after ligation injury. This reduced neointima formation was associated with decreased proliferation and increased apoptosis. To further investigate the role of ß-catenin in vascular remodeling, the authors isolated arterial SMCs from their SMC-specific ß-catenin knockout mice and cultured them in vitro. Using qRT-PCR, they found that loss of ß-catenin in mouse arterial SMCs resulted in decreased mRNA expression of genes associated with vascular SMC migration and invasion, which are critical for SMC response to injury. Instead, SMCs lacking ß-catenin expressed increased levels of genes associated with the contractile phenotype. Interestingly, ß-catenin loss also inhibited the ability of SMCs to secrete Mmp2 (an extracellular matrix protein) and reduced in vitro cell migration. Finally, to determine whether pharmacological inhibitors of ß-catenin affect human SMCs, the authors treated Lifeline® human coronary artery SMCs with two ß-catenin inhibitors, ICG-001 and PKF18-310. They found that both inhibitors reduced cell growth in a concentration-dependent manner. Together, the results of this study demonstrate that ß-catenin plays a proliferative and prosurvival role in vascular SMCs during neointimal formation following vascular injury. Furthermore, the use of ß-catenin inhibitors to reduce SMC growth and accumulation in cardiovascular disease may be a potential therapeutic intervention for cardiovascular diseases like atherosclerosis. Have you used Lifeline® SMCs in your research? Let us know and your study could be featured here on our blog!